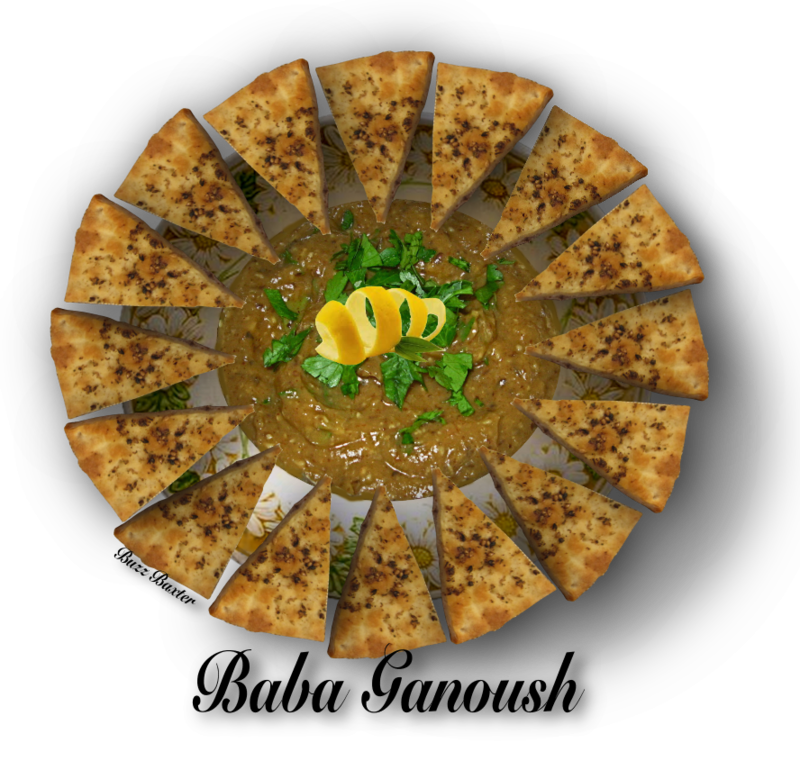 Roasted eggplant dip, Baba Ganoush, Khorvadzed Eggplant, call it what you like, but this is a great dip for any party. Almost anywhere you go around the Mediterranean and the Middle East, you are going to find this dish in one form or another. It could be mixed with sesame paste (Tahini), tomatoes in one form or another, garlic, roasted or raw, onions and a variety of spices from cumin to harissa. is charred or the eggplant is soft. 2. Set aside and let cool. 3. Peel off charred skin,or scoop out the soft insides of the eggplant and place in a large bowl. process it until the ingredients are paste like. or as a  vegetable side dish. Can be served hot or cold. Peel outer skin layer from head of fresh garlic,  leaving cloves and head intact. minutes. Let cool to the touch. Squeeze the now softened cloves from skins and set aside. Discard skins.